Not too long ago, my cat Olivia decided to do something she’d never done before: She took herself on an outside adventure. 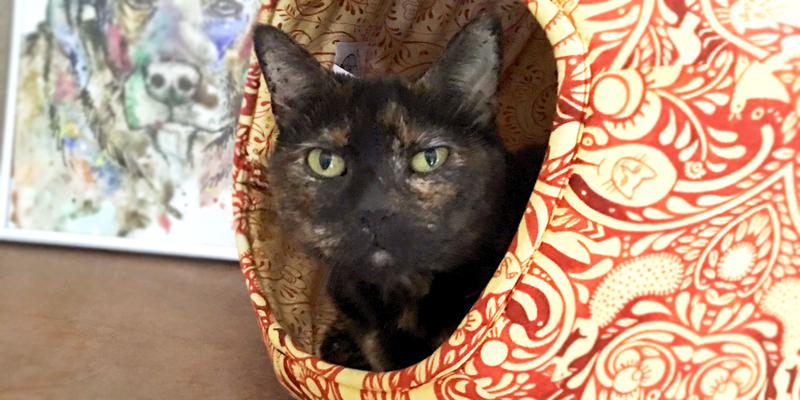 Now, Olivia is an indoor-only kitty and always has been. She usually stays upstairs in our home and has never shown even the slightest interest in exploring the great outdoors. So I can’t begin to imagine what was going on in her furry head when she ventured downstairs and slipped out, unnoticed, through an open patio door as we were grilling one evening. Because she often keeps to herself, we didn’t even realize she was gone until the next day, when, of course, panic ensued! Luckily, the wayward kitty had stuck close to home—under our deck, as a matter of fact—and was only too happy to come trotting out when we shook the treat bag. Whew! I can’t tell you how relieved I am that our tuxie traveler is back inside where she belongs, safe and sound. 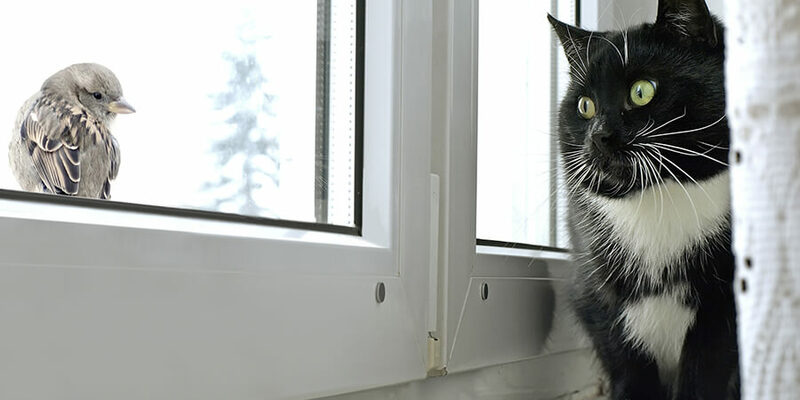 After all, keeping a cat indoors has been proven to protect them from hazards such as cars, predators and infectious diseases—all of which greatly increases their life expectancy. In fact, indoor-only kitties live two to three times longer than their indoor/outdoor counterparts! 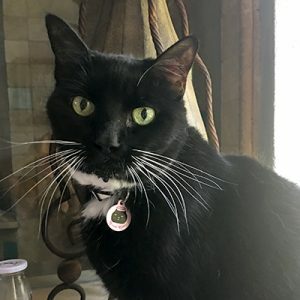 But this incident made me realize that even though I’ve taken steps to protect my two fabulous felines from outdoor threats, there are other mistakes we can all make when it comes to our indoor-only kitties. It’s easy to understand why most indoor-only cat parents wouldn’t bother with a microchip and/or a collar and ID. But as I quickly learned from Olivia’s little adventure, it only takes a second for your kitty to slip out the door and get lost! In addition, unexpected emergencies or natural disasters can cause you to become separated in the confusion of the moment. That’s why it’s so important to outfit your feline with a breakaway collar and a tag with up-to-date information. Both my cats are now sporting PetHub tags: digital tags which offer both high-tech and low-tech ways of ensuring your pet is returned quickly. (Full disclosure: I’m on PetHub’s Board of Directors, but only because I believe in them so much!) Also, talk with your vet about microchipping. 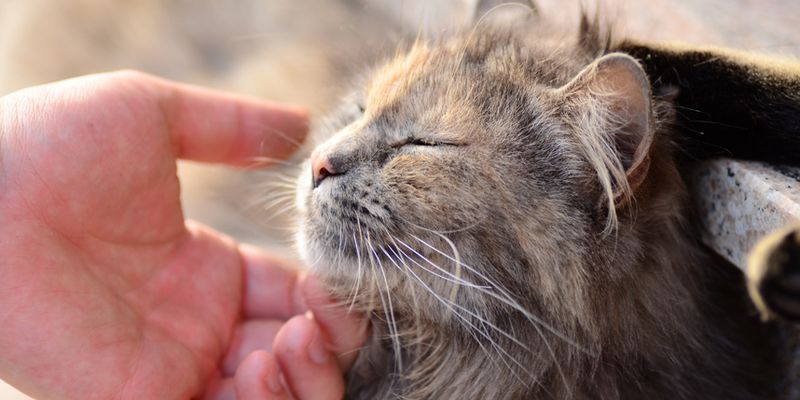 Even if your cat’s collar comes off, the microchip offers a permanent way to identify your pet and get her home safely. 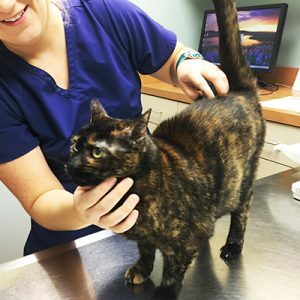 Why would a cat need vaccinations if she never goes outdoors? Well, as my story proves, you just never know! If she does get outside, she can encounter other cats and animals that carry all sorts of diseases, including rabies. And even if she doesn’t escape, rabid animals such as bats and skunks have been known to enter homes. In short, regular vaccinations help protect your cat from the unexpected. Talk to your veterinarian about an appropriate vaccine schedule. You can also ask about titer tests, which check for antibodies and may indicate that your pet is already protected by previous vaccinations. One of the reasons kitties are so attracted to the outdoors is because of all the excitement out there. Birds! Bugs! Smells! Sounds! Now compare that to the one sad, little cat tree many of us have in the corner of the living room. Boooooring! Keep your indoor-only kitty happy and engaged by creating a rich, stimulating environment for her in your home. Provide her with plenty of window perches to bring different outdoor scenes into view. Purchase interactive cat toys (or create your own!) to tap into her natural hunting instincts. And think about ways you can increase the vertical space in your house with carpet-covered shelves and, yes, more cat trees! 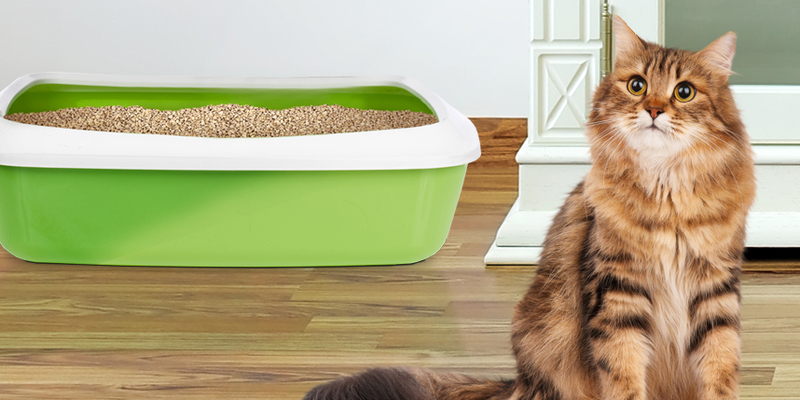 If you’re an indoor-only cat parent, you’re already doing so much to keep your kitty safe. Taking just a few extra steps will help ensure a long life for your fave feline, and peace of mind for you! For more ways to live happier and healthier with your cat, visit my website, Kristen Levine Pet Living.